Baby’s First Christmas is kind of a big deal and Santa photos are only a small part of it. It all starts with shopping and choosing the right outfit, picking the right day and time for optimal photo taking, making sure that the baby is fed and changed and has properly napped in time for the big picture. Once all that is said and done, then it's time to meet the big guy and smile for the camera. 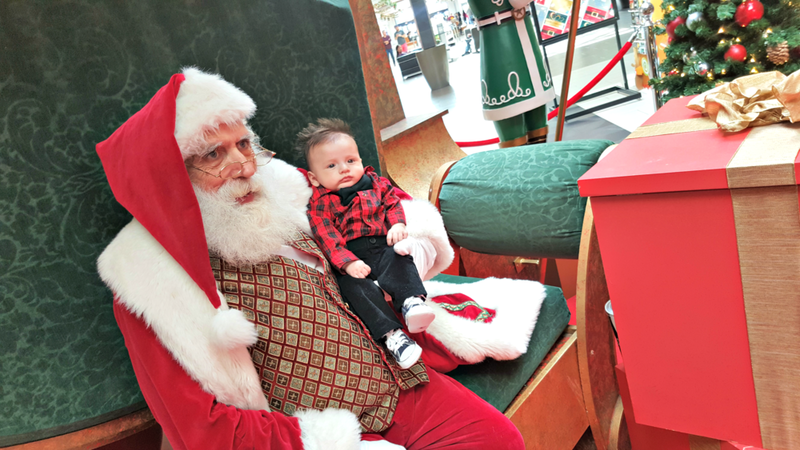 This year I took my best friend and her handsome brand new son, Jackson to the Ontario Mills Mall to get his very first Santa photos. She chose the cutest little Christmas outfit for him and I may be a little biased, because I love him, but he looked really cute. The Santa’s Village in the Ontario Mills Mall is… well it’s beautiful. I love a beautifully decorated tree and there are plenty of those around. This year, the Santa’s Village is equipped with touch screen video games for the kids to play while they wait in line, because let’s face it, long lines during Christmas time are not fun. 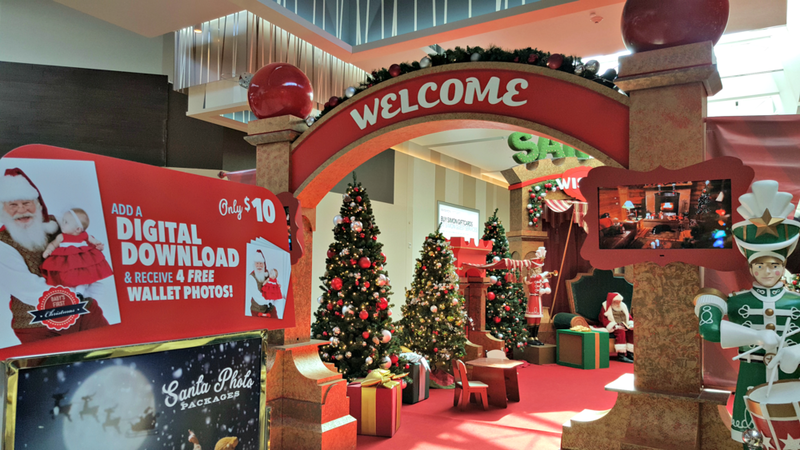 Also, all Simon Malls have a sort of fast pass for Santa Photos now. You can schedule a time online, or check in, schedule a time, go shopping and then come back and take your photos. Santa photos are a part of making memories during Christmas time. Whether it's Baby's First Christmas or an annual photo for the kids, these moments with Santa wont last forever. These are the pictures that we look back on when the kids are grown. Santa will be at the Ontario Mills Mall daily from now until Christmas Eve.